Just imagine, you are stitching away and you have a great idea but you just can’t keep your eyes open a moment longer. Twitch your nose or cross your arms and blink – the needlepoint pixie arrives to save the day! She stitches when it just has to get done. She rips when you don’t want to. Been there, done that. No one will notice, and then rows and rows later you just can’t stand it. 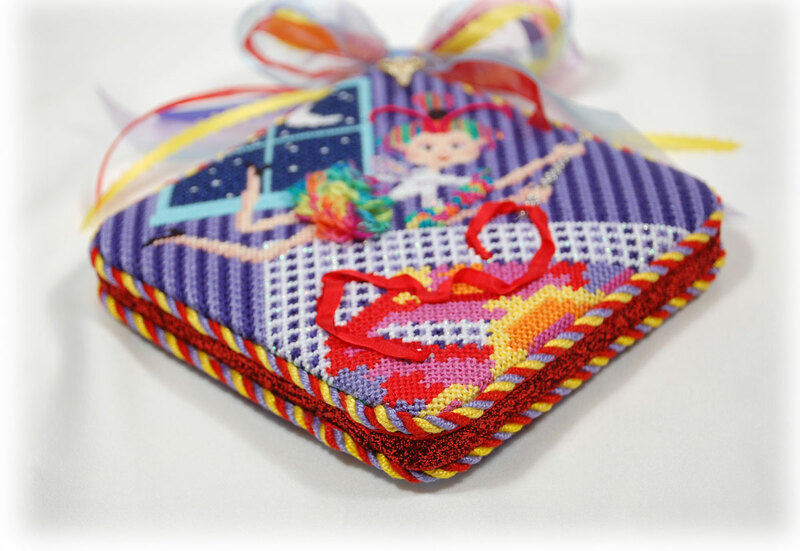 Needlepoint Pixie to the rescue! 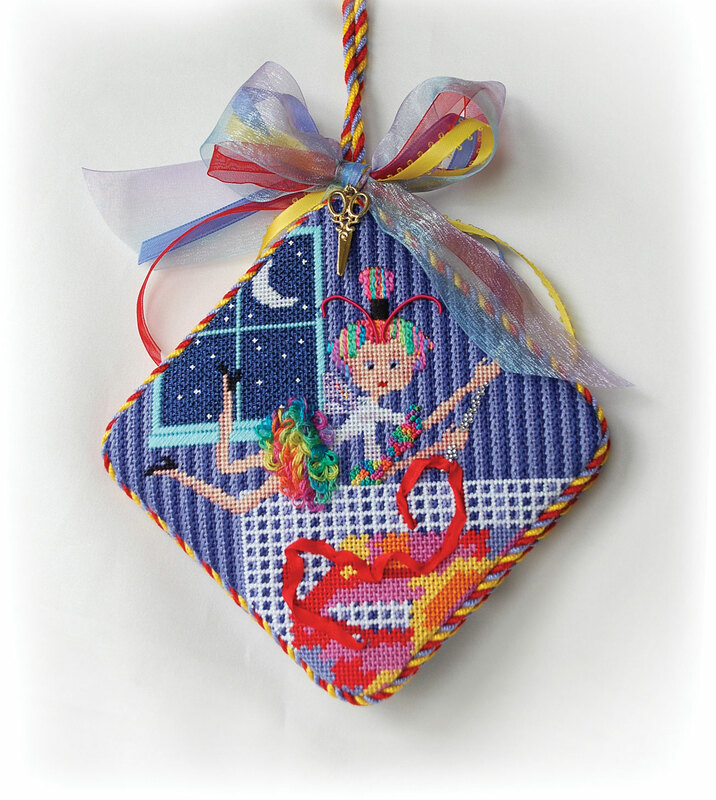 Here’s our very own Needlepoint Pixie. Her painted canvas comes complete with stitchguide by Vicky DeAngelis. I love her skirt! It’s flirty. The finishing is perfect. Just enough fun and extra color to make it special. Hang it in your stitching room and she will keep your stitching muse company. « Previous: Twenty-something? Married with small kids? She's wonderful! The finishing is first rate, by the way. I love seeing your collaboration with Vicky DeA!